One such state of affairs would be a circumstance under which the question, “how dangerous is this, really?” is being considered. 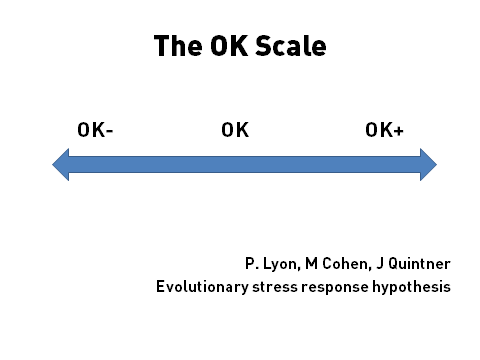 An answer of perceived OK- , a challenge or threat to homeostasis, would correspond with a response or output of pain along with protective behavior and narratives. The goals of our interactions are always going to be a progression up the scale with narrative and behavioral markers that correspond to the values our patients have identified as relevant. I'm printing this out to put in my clinic.